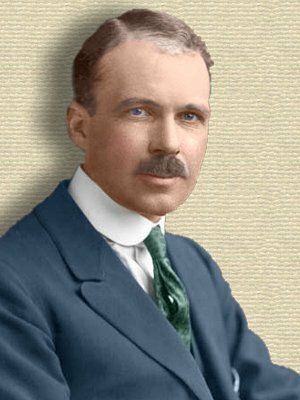 Australian-English physicist and X-ray crystallographer who was the son of William Henry Bragg, with whom he shared the 1915 Nobel Prize in Physics. 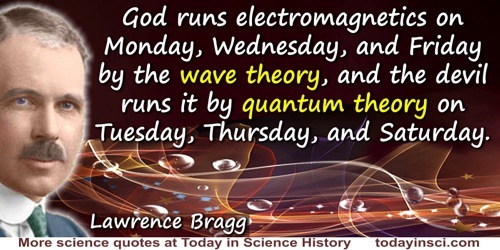 Lawrence determined the Bragg law of X-ray diffraction which is fundamental for X-ray crystallography. Quoted in Arthur Koestler and J.R. Smithies (?Smythies), Beyond Reductionism (1958) (?1968), 115. 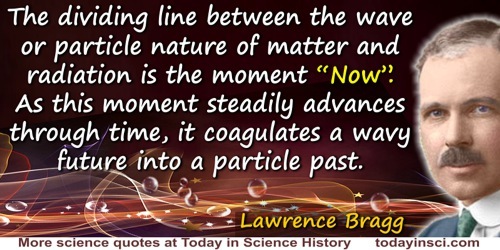 As cited in Alan Lindsay Mackay, A Dictionary of Scientific Quotations (1991), 38. Mackay citation gives 1958, but Webmaster looking at the Library of Congress catalog could only find this title and names (as editors) for a 1968 publication, subtitled New Perspectives in the Life Sciences: Proceedings of the Alpbach Symposium. Mackay citation spells the name “Smithies”, LOC gives “Smythies”. 31 Mar - short biography, births, deaths and events on date of Bragg's birth.